I have spent about $4k on parts, including new seat leather, sliverknit carpet, tires, gaskets, hood repaint. I've done all the work myself except the paintwork. Pretty nice car now. any aftermarket accessories that came with the car (including but not limited to wheels, suspension, exhaust, seats, stereo, mirrors, pedals, steering wheel, etc. ): RH Wheels 18" (Speedline), Cup mirrors and G-pipe. Needs minor repairs to shift linkage, and oil-level drained to specified hot-levels + de-oiling of the excess leakage to determine if re-seal will be needed. Paid low enough price that re-seal still keeps it economical. 0 modifications, totally stock car. If you have any additional info you think should be compiled, please let me know. 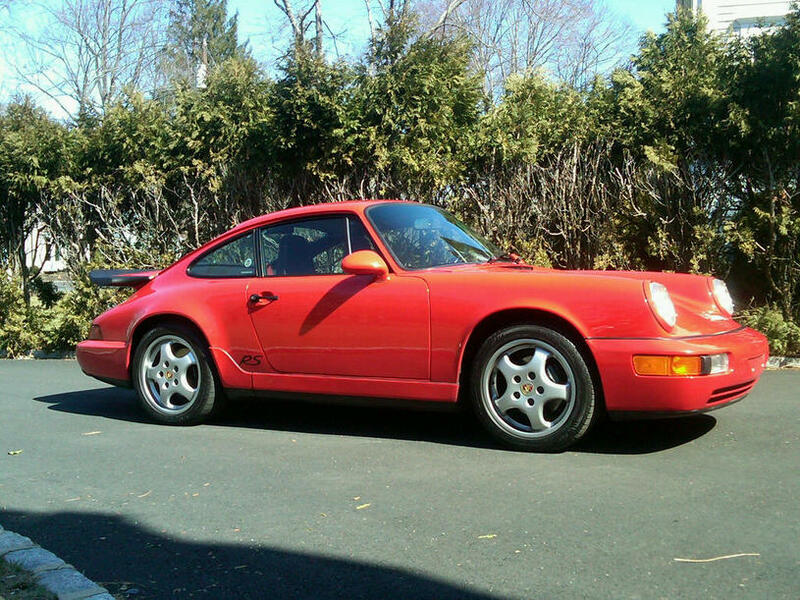 - Garage queen, driven only 16k miles since 1996.
your assessment of the interior quality (1-10, 10 being highest) 10 nothing worn in any way. Hard to determine a price for a 20 year old, but brand new car. I would guess this car would make some collector happy. Not sure what value it has to anyone else. Depending on if it has been maintained over the years started and tested once a year minimum with documentation it would be a poor purchase for anyone who wants a car to drive. This car belongs in the Porsche museum or a private collection and at $58k that would be a fair price if you planned on keeping it as is. Any other use of this car would just be throwing your money out the window. There was a 700+ mile heavily optioned 928GT that sold for about $35k over MSRP a year or 2 back so to the right person $58k might be low. any aftermarket accessories that came with the car (including but not limited to wheels, suspension, exhaust, seats, stereo, mirrors, pedals, steering wheel, etc. ): 18" Sport Design Wheel, primary cup bypass muffler, lower spring and a net set of bilstein adjustable all around. your assessment of the interior quality (1-10, 10 being highest): 9 flawless interior no tear no redye, no aftermarket carpet. your assessment of the exterior quality (1-10, 10 being highest) 8 great exterior, with exception of usual small surface swirl and scatches of a 20 year old car. your assessment of the mechanical condition of the vehicle (1-10, 10 being highest): 7.5, car needed new motor mounts, power steering rack rebuilt and new set of tires, battery and alternator. All done by me. If you have any additional info you think should be compiled, please let me know. The car is completely Stock with the exception of the stereo. 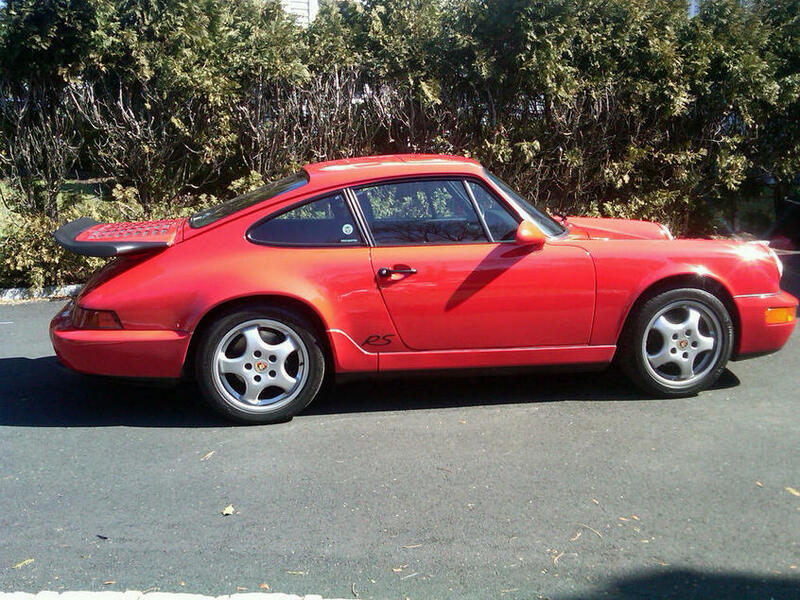 It has been handled by the same master tech that took care of my families 911's for the past 25 years. So we know its history from 7k and I am the third owner. Never tracked. My insurer will go no higher than $18k for replacement value and I need some data to dispute. Has anyone got ideas for better data that is readily available? your assessment of the mechanical condition of the vehicle (1-10, 10 being highest) - 9 - heater servos in process of being un-stuck by moi.